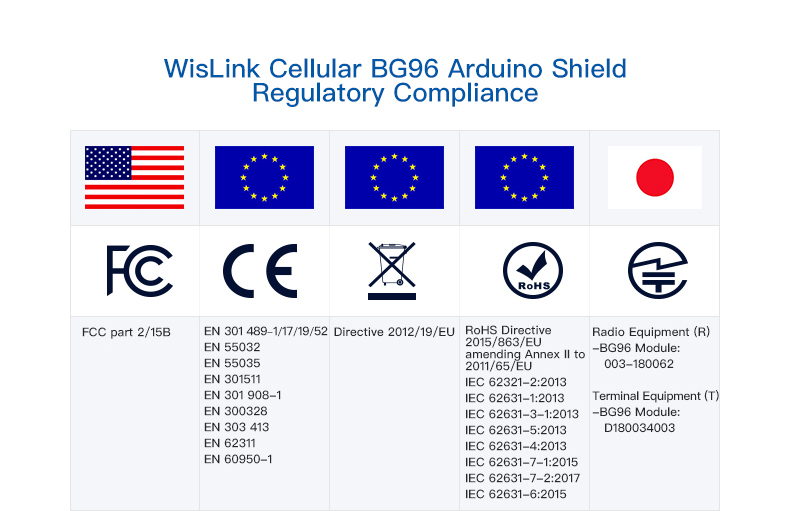 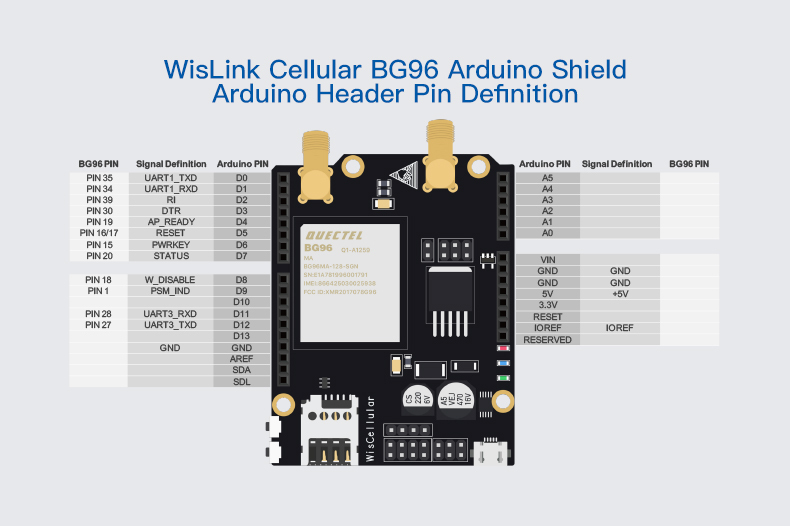 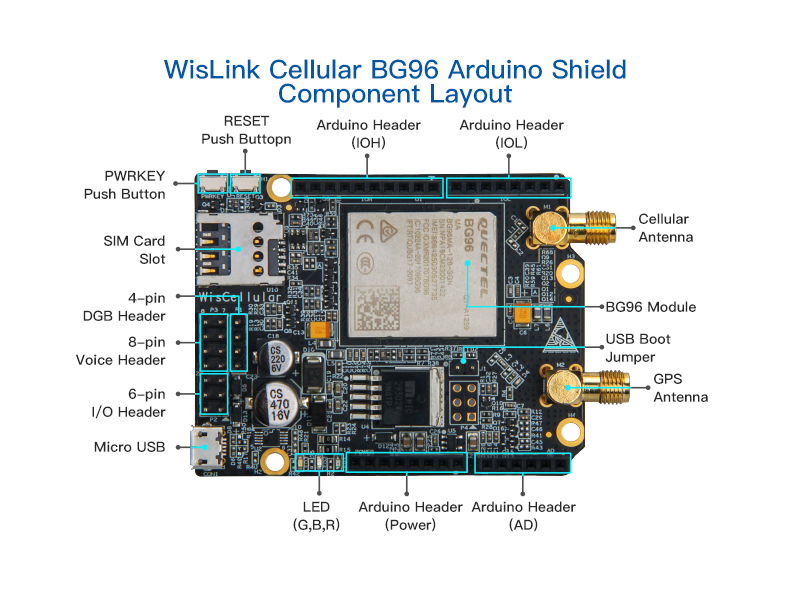 WisLink Cellular BG96 Arduino Shield RAK2011 is a compact cellular communications module that supports Low-Power Wide-Area (LPWA) technology for networking Internet-of-Things (IoT) devices. 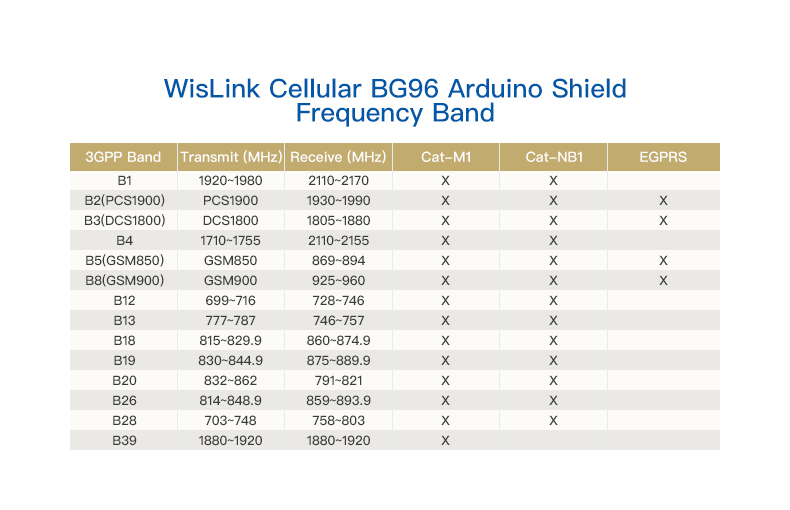 It can simultaneously support 2G, 4G/LTE, NB-IoT and GPS, with an additional feature of Voice-over-LTE (VoLTE) for high definition (HD) and uninterrupted voice calls. 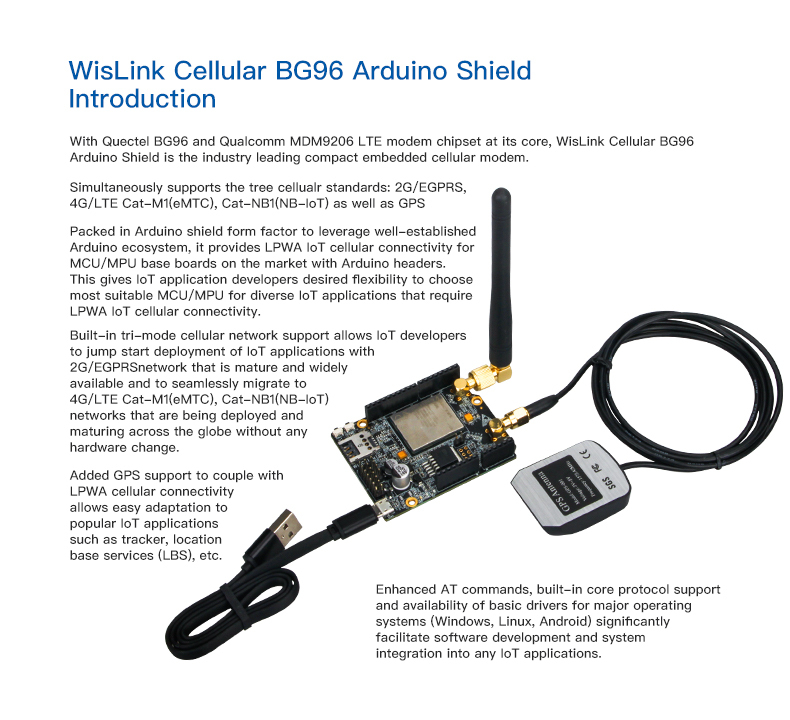 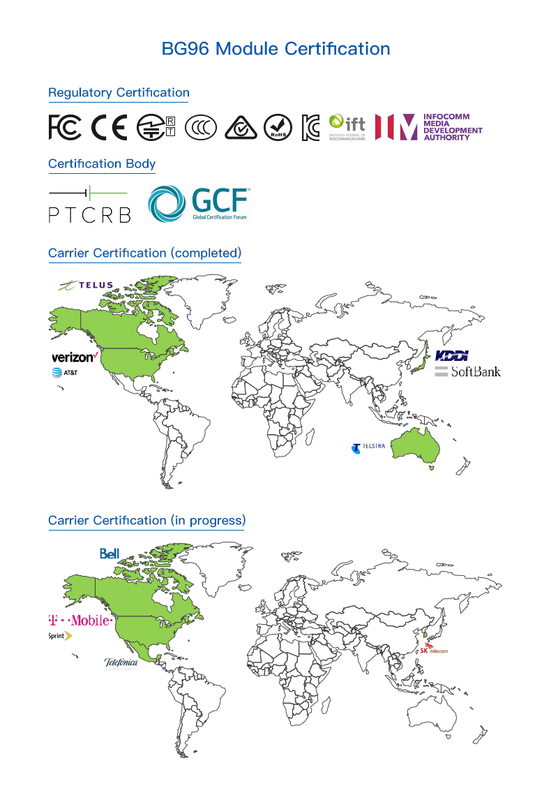 This multitude of features allow users the flexibility of migrating from 2G to 4G/LTE without requiring any hardware change, improve power consumption, system capacity and spectrum efficiency by utilizing the Narrow Band Internet-of-Things, tracking units through GPS and location base services (LBS), stay on the 4G/LTE network even when making or receiving calls and other networking features. 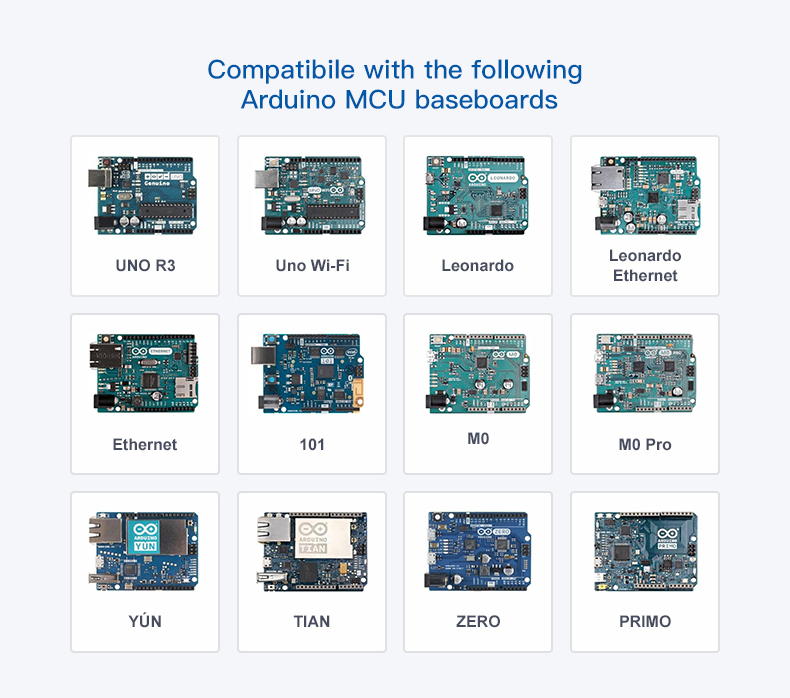 The RAK2011 is based on the Quectel BG96 module and comes with drivers for Windows, Linux and Android support via AT commands. 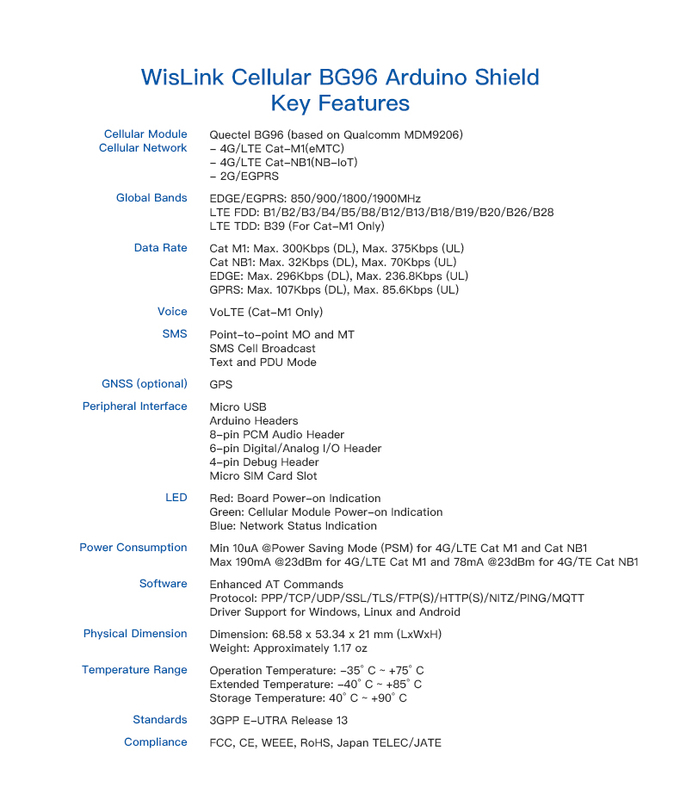 It supports networking protocols such as PPP, TCP, UDP, SSL, TLS, FTP(S), HTTP(S), NITZ, PING and MQTT. 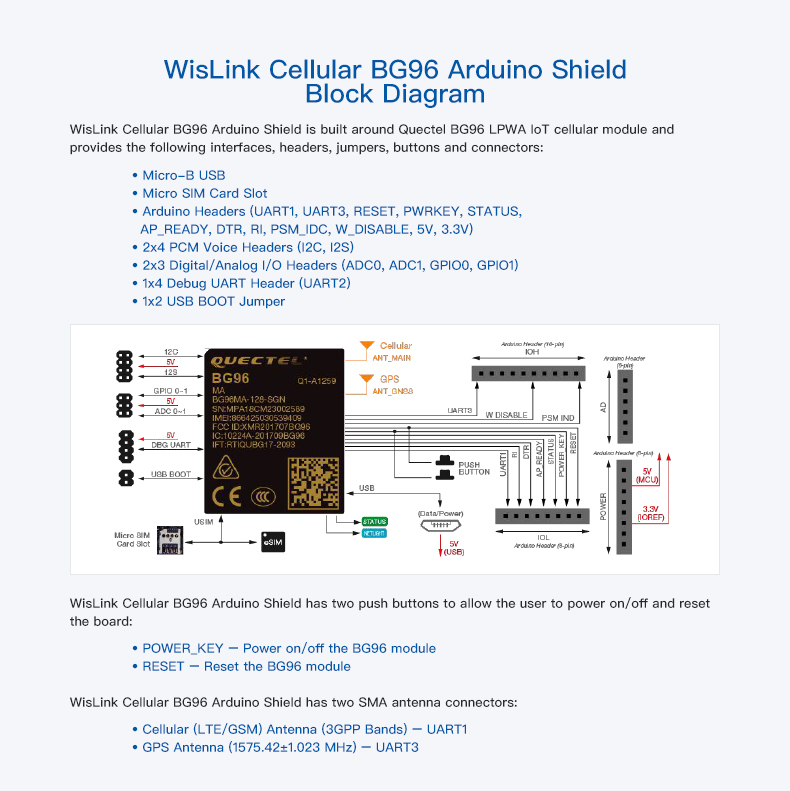 This is useful for facilitating software development and system integration into any IoT applications.